So far, Lara Croft has battled mercenaries, wild animals and ancient mystical warriors in Rise of the Tomb Raider. Today, she starts fighting against enemies that used to be human but are now more like feral animals. The Cold Darkness Awakened add-on comes to Rise of the Tomb Raider today, bringing with it bipedal humanoids that are pretty much zombies in everything but name. As seen in the video above by YouTuber sneaky snake, these animalistic bad guys aren’t the shambling, dumb-as-a-post classic zombies. No, they’re fast runners who’ll use knives, explosives and riot shields to try and take Lara out. That variation in enemy types, along with the moody, dimly lit environments in the DLC, reminded me a lot of Resident Evil 4. 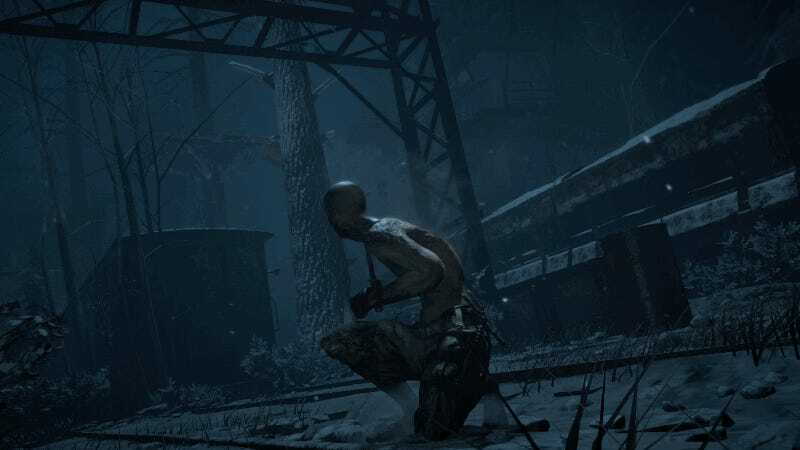 Capcom’s classic survival action game wound up influencing how players and creators think about zombie-type shenanigans in video game scenarios, and Cold Darkness Awakened comes across like a nod to that influence.